Dr. Jim West is a Full Time Lecturer in the School of Engineering and Technology at the University of Washington Tacoma. Formerly with Boeing Commercial as a program manager, Dr. West was appointed by Todd Zarfos, Vice President of the Washington State Design Centers to the UW-T Institute of Technology Advisory Board in 2010. 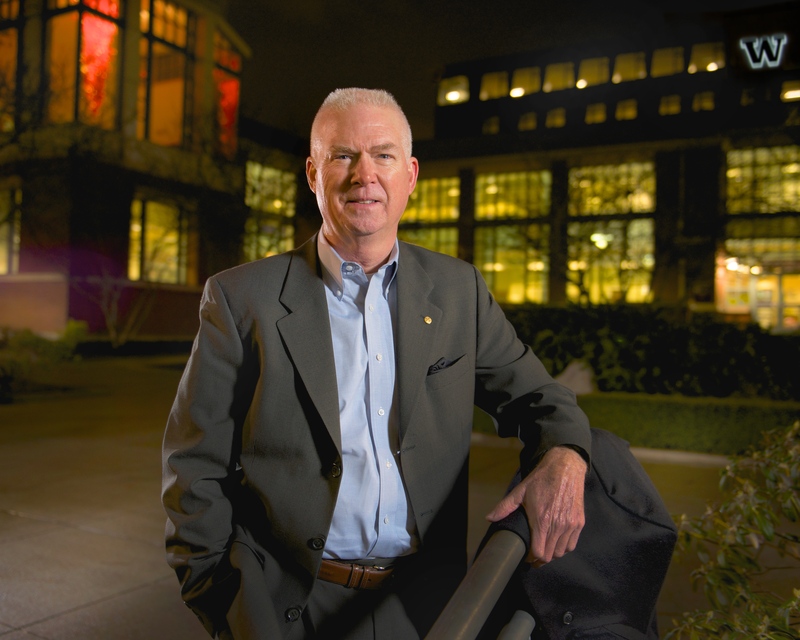 He served as the Boeing Advisor and taught part time in the Institute and the Milgard School of Business until joining UW-T as a full time lecturer in 2016 after his retirement from Boeing after 21 years. Dr. West has 44 years of extensive business and industry experience serving as an engineer, technical specialist, manager and manufacturing consultant to Fortune 500 firms including Square D Company, Avco Lycoming, Westinghouse, Owens Corning, General Electric, BMW and Lockheed Martin to name a few. He has served as President, board member, in special interest technical roles and presented papers for professional societies throughout his career including the American Production and Inventory Control Society(APICS), the Society for Manufacturing Engineers(SME), the Institute of Industrial and Systems Engineers(IISE) and was the conference chair for the first Automotive Supplier Excellence (ASE) National Conference in South Carolina. Dr. West is an advisor with the National Institute for Standards and Technology’s Manufacturing Technology Center Program; has served as a board member for Boeing with Impact Washington, the local Washington MEP affiliate, and supported improving manufacturing productivity and competitiveness for small to large firms as a technical specialist and consultant for the MEP for thirty years. He is an advisor with NIST and the MEP as an embed engineer for the Advanced Robotics Manufacturing(ARM) Institute, the Clean Energy Smart Manufacturing Innovation Institute (CESMII), and NextFlex, the flexible hybrid electronics institute. Dr. West is an advisor and board member for Lotus Ozone, a privately held manufacturer of water purification systems in Bangalore, India. He volunteers as an engineering advisor to Green River Community College, to the Federal Way School District’s Continuing Education Advisory Board, and is a resident of Dash Point and Vice President of the Dash Point Improvement organization. In his spare time, he enjoys his family, gardening, swimming and cross country skiing.